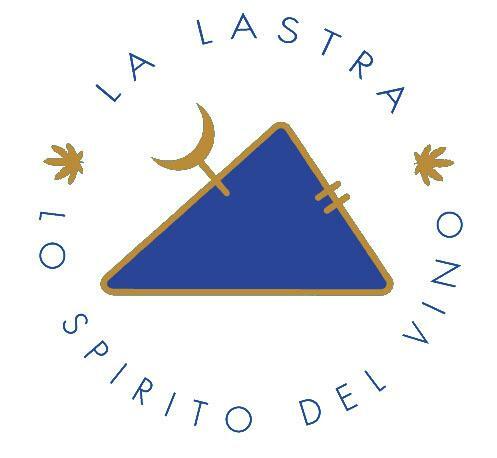 Established in 1994, La Lastra, located in San Gimignano, brought together the dedication of a close-knit team: Renato Spanu, the agronomist; Nadia Betti, the coordinator; Enrico Paternoster, the enologist; and Christian Betti, the winemaker. La Lastra consists of six hectare of vineyards divided over four plots on hillsides with southeast-southwest orientation. The soil is of Pliocene origin and is a mix of clay and limestone rich in skeleton and sea sediments, giving La Lastra wines their characteristic minerality and longevity. La Lastra is focused exclusively on producing wines that continue the long-standing tradition of native varietals and re ect the rich character of the area. Balance and elegance are hallmarks of the La Lastra line and practices in both the vineyards and the winery are tailored to this end. La Lastra's red and white wines are recognized for their consistent quality and extensive ability to age with grace.